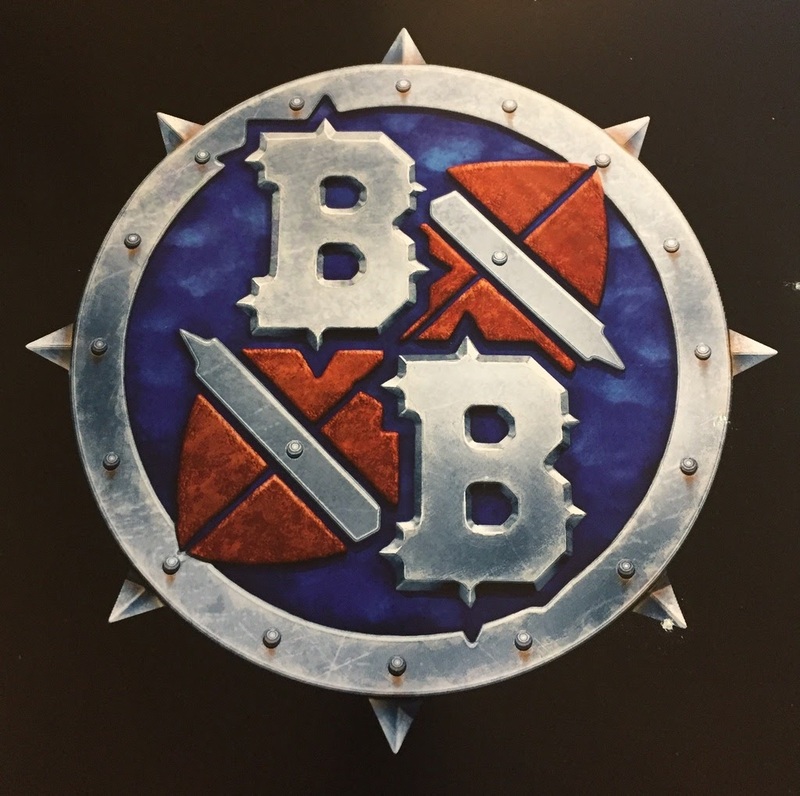 Lord Summervale: Welcome Blood Bowl fans! I am pleased to have you join us for Cabalvision IV's coverage of the Deep North- Southern Regional conference. I am your host Lord Summervale and as always I am joined in the booth by the great Blood Bowl mind and Hall of Fame player Mad Johan. Mad Johan: In addition, we are joined in the booth today by the captain of the Chaos Goat Herders, Asquith Kneecapper. ; fresh off their win in the Princess Owayanna Bottled Spring Healing Waters tournament win! Congratulations! Asquith Kneecapper: Thank you, I would just like to say all praise to the Chaos Gods and Nuffle. Lord Sumervale: Well said. Today's match we are glad to bring you a long-awaited premier between two new teams to the Conference, the Black Guards from Nagarroth and the Elf Union Superiors. 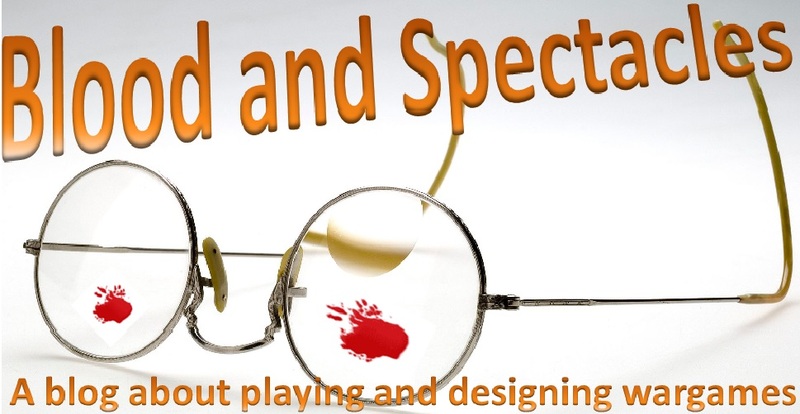 Mad Johan: Indeed, the two elf teams bring two different play styles to this conference. It is said that Mora-Thai and her team were exiled from the Blood Bowl pitches of Naggaroth for an undisclosed infraction. They were sailing to join the Princess Owayanna tournament but were detained at the coast by some..... um.... slave raiding? Asquith Kneecapper: A noble past-time! Almost as fun as playing Blood Bowl! Lord Summervale: I'll take your word for it. Mad Johan: Meanwhile, this Elf Union team is captained by Legolan the Highborn. His team has been active in some of the minor leagues and decided to make the jump to this level of play. We will see how they handle it. Asquith Kneecapper: Fresh meat! I think they will find the game plays much faster at this level. Lord Summervale: Perhaps. We are about to find out. The two captains have come out of their dug-outs and approached the grot refs. The two shake hands, and seem to exchange some.... refined.... banter in elvish. It looks like the Black Guards have elected to receive the ball. Mad Johan: A good strategy. They might be able to put some of those Elf Union players out of the game before they even get the ball. Asquith, what do you think the keys of the game are? Asquith Kneecapper: Clearly Nuffle and the gods will favor the team that has sacrificed more virgins prior to the first snap. I believe the Dark Elves have the advantage. Mad Johan: Ummmmmm..... sure. I'm sure that will matter. For Mora-Thai her team will want to stretch out their scoring drives. The best defense is to keep the Superiors from even having the ball at all. For the Black Guards, they need to use their possessions to also take out the key positionals on the Elf Union team. Asquith Kneecapper: What you say makes sense.... but I am sure it will come down to the sacrifices. Mad Johan: For the Superiors, they are going to have to stretch the field and force the Black Guard to cover deep and thin their defense in other areas. The Superiors have the ability to score early and often. They need to put the Black Guards into a deficit early and force them to play catch-up. Asquith Kneecapper: I suppose they could also just smash the other team into little chunks of meat. It makes it easier to score AND prepares them for the victory feast! Lord Summervale: Clearly, you are both brilliant Blood Bowl minds. The Dark Elves have their runners Raz-Al-Slam and Urleith Van Drakken back to receive. Boom! The kick is up! Raz-Al-Slam easily picks up the ball deep in the backfield in the nearside field. Mad Johan: Kurounus the Dreaded, the Dark Elf blitzer races up the edge of the farside wing and unloads a davastating blitz on TheonaStarstrike and send shim the dug-out. Ouch! Lord Summervale: The Black Guards begin to form a cage and head to the line, with Mora-Thai the Witch Elf leading the way. Jaq the Knife knocks out the Elf Union blitzer, Gloire as the Dark Elves approach. Mad Johan: It's not all going the Black Guards' way as Fiendahl Stormwind, the Blitzer stiff arms the Dark Elf lineman Morathian and takes him out. Brutal for elves. Lord Summervale: The Black Guard move to break through the Superiors line. Darveck the Flayer blitzes an opening by taking out the Elf Union blocker, Snowrabbit. Mora-thai moves to expnad the gap, but is taken out by a rejuvenated Gloire the Seeker. He sends the Witch Elf to the dug-out! Asquith Kneecapper: That was unexpected! Mad Johan: The Superiors decide to try to capitalize on and start dishing out punichment across the line! 1 Black Guard is Koed, while Legolan the High-born himself stuns another Dark Elf blocker. Asquith Kneecapper: I like these Elves style. Lord Summervale: The path to the runner is open, and the Superior Blitzer takes his shot. He turns the end of the line and manages to Blitz Raz-Al-Slam. The Dark Elf is flattened to the turf, and coughs up the ball. The nearby Superior Blocker..... Chalaon Stormbreaker manages to scoop it up. Mad Johan: The scrum is not over yet! Lord Summervale: Indeed! Both teams push and shove each other around. Chalaon tries to break out, but is tripped up and sent sprawling by Al-Slam. The ball keeps being kicked around the field as the two teams scuffle over it. Somehow, Chalaon finds the ball in his hands again, and he dumps it downfield to a fellow blocker, Arleith Starleif. Asquith Kneecapper: Is this some of that “Finesse” game I hear fans of elf teams talk about? Mad Johan: The Superior's drive is short lived as Black Ivenoth of the Black Guards knocks the ball loose again, putting Starleaf to the dug-out in the process. However, Black Ivenoth's run of luck ends quickly, as the Superior Lineman Calaughn Riverbend puts him in the dug-out with a punishing hit! Asquith Kneecapper: This is a very hard hitting game! Lord Summervale: Indeed! The referee blows the whistle for the half. Each team only has about 5 players left on the pitch! Asquith Kneecapper: No love lost between these teams! Mad Johan: You know what I say Summervale, it is hard to win a Blood Bowl match if half your team is in the box. However, it looks like I might be wrong this time. If you look closely at the casualty report, you will see that the Black Guard mostly have Knock Outs, while the Superiors have injuries. That means we could see the Black Guard have a slight numbers advantage in the second half. Lord Summervale: That's why you are here Johan. Indeed, a great detail from a great Blood Bowl mind. Now, let's send the viewers back to Cabalvision IV's home tower for a breakdown of Blood Bowl action around the Olde World. Remember, Guillotine Razor; everytime you use them it is a close shave! Lord Summervale: Welcome back to the second half of our match-up between the Dark Elf Black Guards, and the Elf Union Superiors. The score is 0-0 in a surprisingly hard hitting game. I am joined int eh booth today by my regular color commentator Mad Johan. However, we also have Chaos Goat Herder Captain, Asquith Kneecapper. Asquith, what do you think will be the key strategy for the second half? Asquith: Well, both teams have been doing a good job smashing the other team. Eventually, one of these teams will have to score a touchdown. I think it might be the team with a player left standing. Mad Johan: Elf teams get a lot of schtick for being all pouncy and finesse. Today, these teams are not living up to those expectations. I did not expect them to get into my Ard Hitz Highlight reel. So far, they have been brutal to each other. However, Asquith is right. Eventually, someone is going to have to stop killing the other team and just score. I think the Black Guards have a bit of an edge in players returning to the game. I expect to see this difference matter. Lord Summervale: Well, the Superiors get start with the ball this half. Let's see if they can do better than the Black Guards did. The Black Guards kick is up..... Boom! That gets the second half started. Legolan the High-Born gets the ball after the touchback. He scrambles forward to the Elf Union line. Mad Johan: The blitzer Kurounus the Dreaded is in hot pursuir. He easily penetrates the Superior back field and levels Chalaon Cloudbreak who was foolish enough to get in that guys way! Krunch! Lord Summervale: Due to the pressure, Legolan passes it back to his fellow passer Chronus the Masked. Mad Johan: That doesn't fool Korounus, who sniffs out the play and homes in on Chronus. The blitzer stretches the field and unloads on the Elf Union Thrower. He sends Chronus to the casualty box, and the ball goes loose deep in Elf Union territory. Lord Summervale: Raz-Al-Slam manages to scoop up the ball and run it in for an easy touchdwon! The Black Guards are up by 1. Asquith Kneecapper: That Black Guard Blitzer stepped up and made the key play. Slaanesh msut be with him! Mad Johan: As I predicted, the Black Guards small numbers advantage left Korounus unblocked on the outside and Raz-Al-Slam in a position to scoop up the ball and score. Lord Summervale: More Black Guard players return to the field as they kick it to the Superiors. The Elf Union team valiantly tries to move it up field, but the Dark Elves seem to be wherever they try to go. Mad Johan: Another big hit from Darveck the Flayer sends Theona Starstrike stunned to the ground. The numbers do not add up for the Superiors this time. Lord Summervale: Despite a valiant attempt to drive up field, the Black Guards hold out until the whistle. The Black Guards have bested the Elf Union Superiors 1 to 0. That was a surprisingly hard hitting game! Mad Johan: Yes, but I think the Black Guards managed to take the game because they hit just that much harder than the Superiors. Just look at the casualty results to verify. Sure Mora-Thai the Black Guard team captain is leaving the game with a niggling injury, but the Superiors took it much harder. 4 players ended up in the casualty dug-out. Thankfully for the Superiors, two will be ready to play next game, but Elra Snowrabbit will have to miss the next match. Worse, blocker Galathia Sunstreak will never play at the same level again. Asquith Kneecapper: I sense an upcoming sacrifice to Nuffle. Lord Summervale: I don't think that is how the Superiors “retire” players? Mad Johan: With such a new team to the conference, they just have to make do. Lord Summervale: Well, that is interesting and all, but who do you think were the Bloodweiser Stars of the game? Asquith, I will let you decide today. Asquith Kneecapper: Oh... let me consult my game notes..... for the Black Guards, you have to consider Korounus the Dreaded who lived up to his name with 4 casualties! That is the type of player I want on my team! However, Raz-Al-Slam actually scored the winning touch down, and ultimately that is what counts. Darveck the Flayer also had a strong game. Ultimately, I think it will have to go to Raz-Al-Slam though. Mad Johan: A solid choice. Asquith Kneecapper: It is always tougher to pick a star on the losing team. Ultimately, they lost and have no favor with the Chaos Gods. Who cares about such lowlings? Mad Johan: Agreed, but we have to pick. For the Superiors, I think Fiendahl Stromwind the Blitzer was doing what they needed him to do, hitting people. Chalaon Stormbreaker needs a shout out for being in the middle of key plays and trying to keep the Superior drive alive int eh first half. Then, Legolan the team captain didn't disappoint and tried to keep his team in the game. Ultimately, I am going with Chalaon Stormbreak for the Superiors. Lord Summervale: Well, that wraps things up here. Thanks to Asquith Kneecapper from the Chaos Goatherders for joining us in the booth. We will now return you back to the Cabalvision IV studio for continuing coverage of a match all ready in progress. Join us next time for more exciting Blood Bowl in the Deep North League- Southern Regional Conference. Until then, try Guillotine Razors- a nick in time saves nine!